4 BIG brands are clearing at WAREHOUSE PRICES! 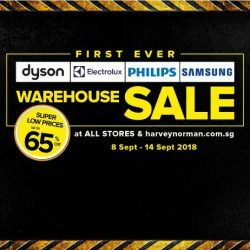 Super low prices, up to 65% off at all Harvey Norman SG stores and harveynorman.com.sg on Samsung, Electrolux, Philips and Dyson from now till 14 September 2018! 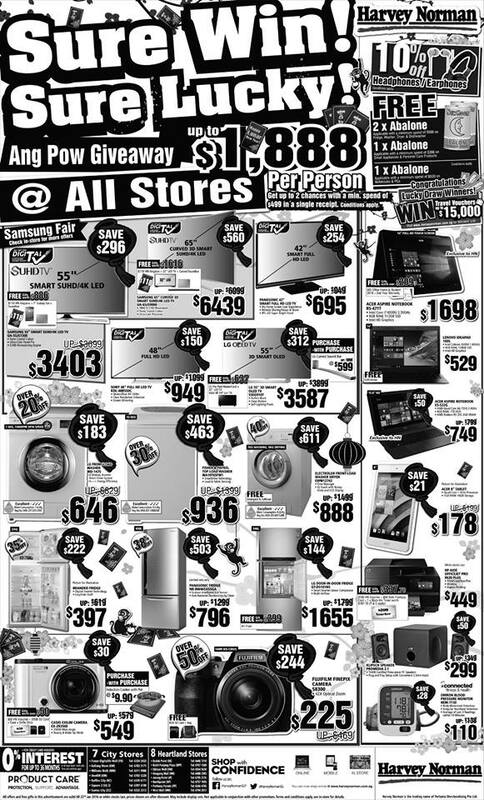 Don't miss out on unbeatable savings on TVs, Audio Cameras, Home & Kitchen Appliances, all up for grabs at Harvey Norman's Nation Grand EXPO! LAST 2 DAYS! Swing by Singapore EXPO Hall 6B today from 11am to 9.30pm! 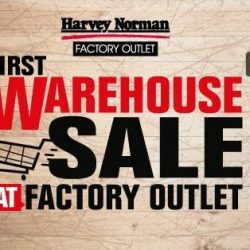 Don't miss out on Harvey Norman’s First Warehouse SALE at the Factory Outlet with thousands of stock to be cleared at up to 90% off! So why shop anywhere else? Looking to spruce up your home without breaking the bank? 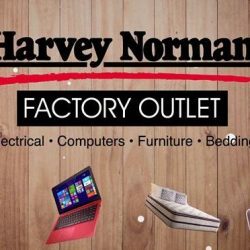 Drop by Harvey Norman Factory Outlet to enjoy BIG Savings like NEVER BEFORE on electrical, computers, furniture and bedding products! The super low prices are made possible due to global bulk buy, discontinued models, overstock and clearance models, dented/refurnished items and display sets clearance. Selected current models are also available. Head down to the 38,500 sq ft two-storey store today at Viva Business Park! 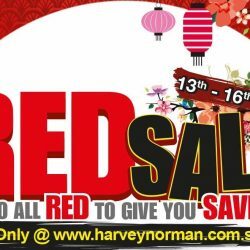 A few more days to the highly anticipated Harvey Norman's RED SALE happening from 13th - 16th Jan 2017! Enjoy awesome deals and also $38 off your purchase with this coupon code when you spend min. $388 in a single check-out! 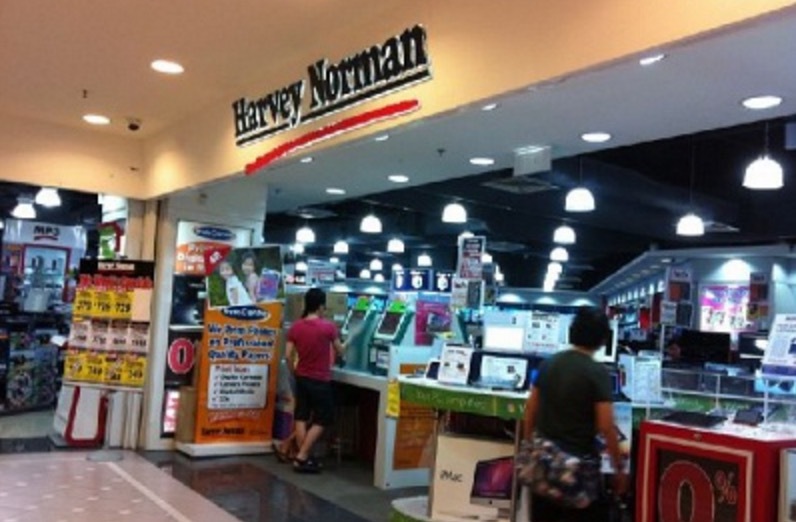 Receive a free $20 Harvey Norman voucher with purchase of $200 in a single receipt at our Northpoint atrium roadshow! 22 to 28 August 2016 only. While stocks last. Terms and conditions apply. Enjoy 1-month waiver on 24-month 0% Interest Free Payment Plan, when you charge to your DBS/POSB Credit Cards! Plus, get 1-for-1 FREE Replacement if your product is under $500, when you extend your warranty with Product Care - now with better coverage! 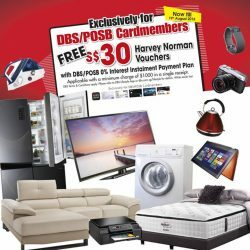 Charge to your DBS/POSB Credit Cards at #HarveyNormanSG and receive $30 Harvey Norman vouchers! Find out more @ https://goo.gl/jTrI3S. 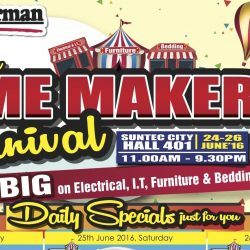 Join Harvey Norman for the first ever ‪ Home Maker Carnival for BIG savings on your choice of Electrical, I.T, Furniture and Bedding! New home owners get to receive up to $500 worth of Harvey Norman vouchers too! Happening this weekend at Suntec City Hall 401! 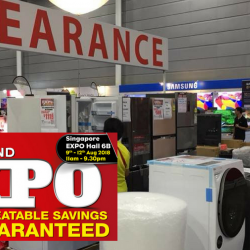 This is your last chance to enjoy humongous savings at Harvey Norman's Last Expo of the Financial Year - cash and carry items from as low as $28 only! Stand a chance to win up to $2,000 Club Med vouchers with any purchase of Product Care. What's more receive up to $100 Harvey Norman Vouchers and Citibank Cardmembers get additional vouchers when you charge to your Citibank credit card. 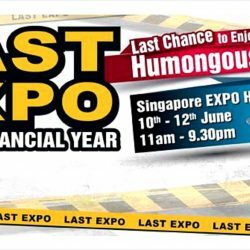 Here’s your last chance to enjoy humongous savings at Harvey Norman’s Last Expo of the financial year. 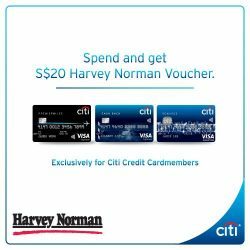 Citi Cardmembers receive a $20 Harvey Norman voucher with min. $888 spend. Voucher is limited to the first 250 customers. More #HarveyNormanSG deals for #pcshow2016. We are at booths 5024 and 6027, visit us now! Stand to receive free gifts when you charge to your #Citibank credit cards - while stocks last! 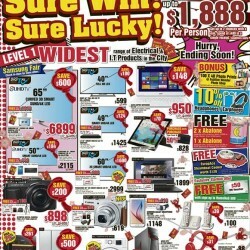 So hurry down to a #HarveyNormanSG store near you today. Find out more at https://goo.gl/cpOYEi. 3 DAYS LEFT to enjoy up to 90% off at our Warehouse Sale or make us an offer we can't refuse! Catch the free shuttle buses located at Lakeside MRT. As advertised in The Straits Times on Friday, 20th May 2016. Offers and free gifts in this advertisement are valid until 22nd May 2016 or while stocks last. Terms and conditions apply. 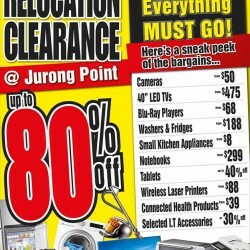 Hurry down to ‪Harvey Norman‬ Jurong Point for amazing relocation clearance deals, from as low as $8! Absolutely everything must go! View larger version at here. 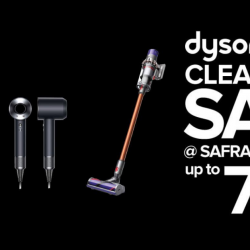 This offers and free gifts are valid until 2nd March 2016 or while stocks last. Terms and conditions apply. See in-store for details. Only the weekend left before the celebrations for Lunar New Year begins. 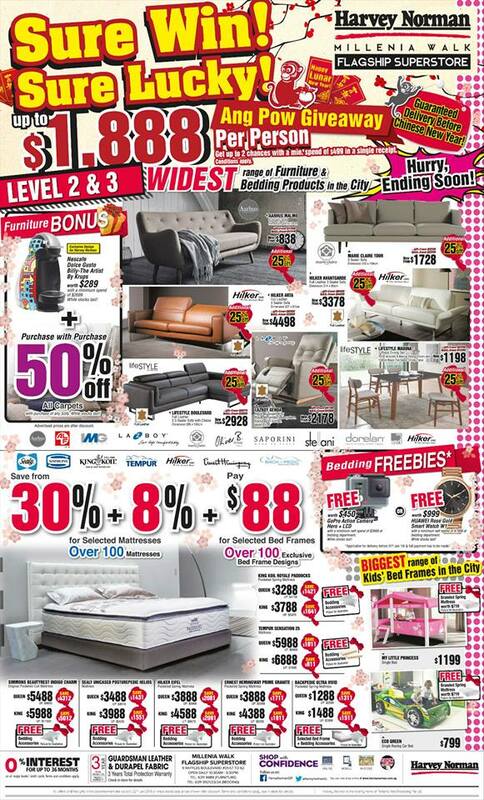 Here is your chance to grab all the essentials with BIG SAVINGS at Harvey Norman! As advertised in The Straits Times on Friday, 5th February 2016. Offers and free gifts in this advertisement are valid till 7th February 2016 or while stocks last. Terms and Conditions apply. See in-store for more details. 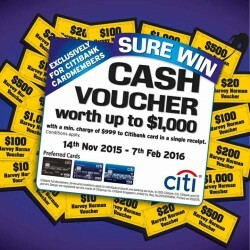 Enjoy and get a SURE WIN Cash voucher worth up to $1000 when you charge a minimum of $999 to your Citibank credit cards. 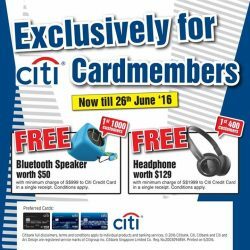 Exclusive for Citibank card holder only. More details here. Enjoy RED HOT specials going at RED HOT prices. 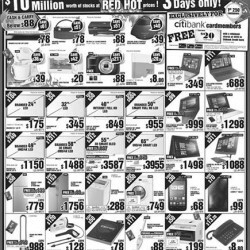 $10 Million advertised in The Straits Times on Friday, 22nd January 2016. Offers and free gifts in this advertisement are valid until 24th January 2016 or while stocks last. Terms and conditions apply. See in-store for details. Worth of stocks waiting for you at Singapore Expo Hall 5B, from 22nd to 24 January 2016. 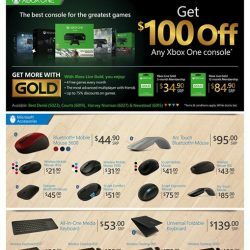 View the deals at here. 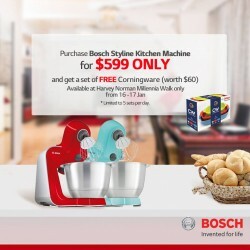 Hurry down to a Harvey Norman store near you to ‪‎win‬ their Ang Pow Giveaway! Plus loads of other ‪free gifts waiting for you. See you this weekend! Shop now at here. As advertised in The Straits Times on Saturday, 16th January 2016. Offers and free gifts in this advertisement are valid until 22nd January 2016 or while stocks last. Terms and conditions apply. See in-store for details. 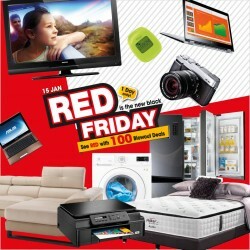 Harvey Norman RED Friday is here! Key in the coupon code 10OFF when you checkout to enjoy $10 off your purchase. Happy shopping! 1 DAY ONLY, don't miss out! Shop now at here! Terms and conditions apply. Hurry down this weekend for CNY Cooking Demo by Chef Joseph and Chef John See at Harvey Norman Millenia Walk Flagship Superstore! 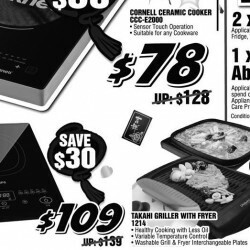 Learn how to cook delicious meals plus enjoy exclusive promotions including a 3-hour CNY Shopping Spree with Massive Price Reduction. See you this weekend! Registration is $21.40 nett per person (inclusive of GST, a $20 voucher, breakfast buffet and a goodie bag). Register now! Register now at here. Terms and conditions apply. 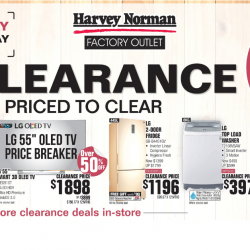 Enjoy Empty Out Clearance now at Harvey Norman Northpoint. Be sure to visit to enjoy savings up to 80% OFF. View larger version at here. As advertised in The Straits Times on Wednesday, 13th January 2016. Offers and free gifts in this advertisement are valid until 19th January 2016 or while stocks last. Terms and conditions apply. See in-store for details. 2 DAYS ONLY! Everything must go at Harvey Norman Parkway Parade. With offers up to 70% off, be sure to visit for fantastic offers! Offers and free gifts are valid until 31st December 2015 or while stocks last. Terms and conditions apply. See in-store for details. Harvey Norman carries a huge range of products ranging from the latest home entertainment systems and computing technology, to the most stylish and innovative home appliances available. 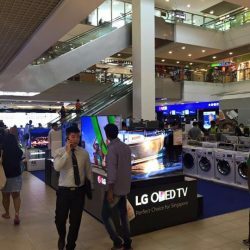 There are around 16 outlets located around Singapore including the neighbourhoods plus the flagship store is at Millenia Walk in the town area thus it is very convenient for shoppers. You can also shop online at their website.Harvey Norman may not be the cheapest place to shop however, they are a reputable retailer and the service provided is always professional. Their sales are worth looking out for, especially during the Great Singapore Sale or their clearance sale of older models or display sets. Stay updated on their latest promotions at BQ.sg and check out their current promotions here.